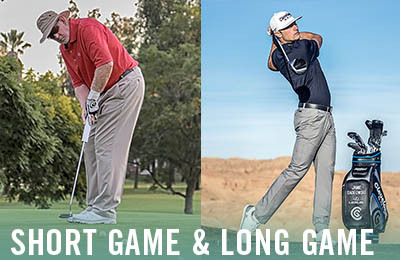 Cleveland Golf RTX 4 Giveaway (“Giveaway”) is open to legal residents of the fifty (50) United States (and the District of Columbia), who are 18 years old and older at the time of entry. Void where prohibited. 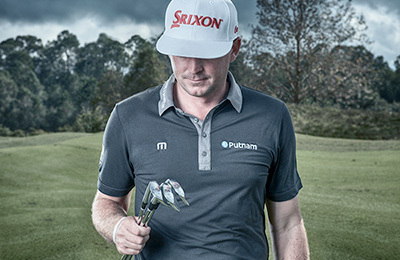 Employees of Srixon / Cleveland Golf and their respective related companies, parents, subsidiaries, affiliates, and agents and any agencies or other companies involved in the development or execution of the Giveaway or production or distribution of Giveaway materials, as well as the immediate family (spouse, parents, siblings, and children) and household members of each such employee are not eligible. The Giveaway is subject to all applicable federal, state, local laws and regulations. NO PURCHASE OR PAYMENT NECESSARY TO ENTER THIS GIVEAWAY. A PURCHASE DOES NOT IMPROVE YOUR CHANCES OF WINNING THIS GIVEAWAY. GIVEAWAY BEGINS AT 12:01:00 AM (PACIFIC TIME) ON JANUARY 1, 2019 AND ENDS AT 11:59:59 PM (PACIFIC TIME) ON DECEMBER 31, 2019 ("PROMOTION PERIOD"). Agreement to Official Rules: By participating in the Giveaway, each entrant fully and unconditionally agrees to and accepts these Official Rules and the decisions of the Sponsor, which are final and binding in all matters related to the Giveaway. 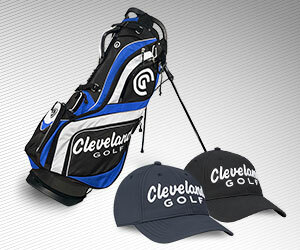 During the Giveaway Period, visit Cleveland Golf’s Giveaway page https://www.clevelandgolf.com/en/monthlygiveaway.html and complete the Official Entry Form, as indicated. Limit: Each participant is allowed one (1) entry per Giveaway Period (based on the submission date), with a maximum of six (6) possible entries per person per calendar year. All entries must be received by 11:59:59 PM (Pacific Time) on the last day of each Giveaway Period. Any attempt by any participant to obtain more than the stated number of entries by using multiple/different email addresses, identities, registrations and logins, or any other methods will void that participant’s entries and that participant will be disqualified. Use of any automated system to submit entries is prohibited and will result in disqualification. In the event of a dispute as to any online entry, the authorized account holder of the email address used to enter will be deemed to be the entrant. Potential winners may be required to show proof of being the authorized account holder. ALL POTENTIAL WINNING ENTRIES ARE SUBJECT TO VERIFICATION BY SPONSOR, WHOSE DECISIONS ARE FINAL. AN ENTRANT IS NOT A WINNER OF ANY PRIZE UNLESS AND UNTIL ENTRANT’S ELIGIBILITY HAS BEEN VERIFIED AND ENTRANT HAS BEEN NOTIFIED THAT VERIFICATION IS COMPLETE. SPONSOR WILL NOT ACCEPT SCREEN SHOTS OR OTHER EVIDENCE OF WINNING IN LIEU OF ITS VALIDATION PROCESS. On or about the 7th day following each Giveaway Period, one winner will be selected for the Giveaway Period in a random drawing from all giveaway entries in our database, for a total of six (6) unique winners during the Promotion Period. Limit one prize per winner in connection with this Giveaway during the Promotion Period. If any potential winner cannot be contacted, within the required time period, he/she forfeits prize. If any potential winner cannot be contacted or if a prize is returned as undeliverable, he/she forfeits prize. In the event that a potential winner is disqualified for any reason, Sponsor will award the applicable prize to an alternate potential winner by random drawing from among all remaining eligible entries. There will be 3 alternate drawings, if time permits, after which the applicable prize will remain un-awarded. Prizes will be fulfilled approximately 4-5 days after the conclusion of the Giveaway. 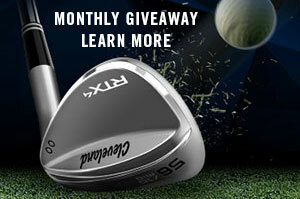 Each winner will receive a set of three (3) Customized RTX 4 wedges. Except where prohibited, participation in the Giveaway constitutes winner’s consent to Sponsor’s use of winner’s name, likeness, voice, opinions, biographical information, hometown and state for promotional purposes in any media, without further payment or consideration. Sponsor reserves the right to cancel or modify the Giveaway if fraud, technical failures or any other factor beyond Sponsor’s reasonable control impairs the integrity of the Giveaway, as determined by Sponsor in its sole discretion. In such event, Sponsor reserves the right to award the prizes at random from among the eligible entries received up to the time of the impairment. Sponsor reserves the right in its sole discretion to disqualify any individual it finds to be tampering with the entry process or the operation of the Giveaway or to be acting in violation of these Official Rules, or in an unsportsmanlike or disruptive manner. Any attempt by any person to deliberately damage any web site or undermine the legitimate operation of the Giveaway is a violation of criminal and civil law, and, should such an attempt be made, Sponsor reserves the right to seek damages and costs (including without limitation attorneys’ fees) from any such person to the fullest extent permitted by law. Sponsor’s failure to enforce any term of these Official Rules shall not constitute a waiver of that provision. entry is confirmed to have been erroneously deleted, lost, or otherwise destroyed or corrupted, entrant’s sole remedy is another Giveaway entry; provided that if it is not possible to award another entry for any reason, Sponsor, at its discretion, may elect to hold a random drawing from among all eligible entries received up to the date of discontinuance for any prize offered herein. No more than the stated number of prizes will be awarded. In the event that production, technical, seeding, programming or any other reasons cause more than stated number of prizes as set forth herein to be available and/or claimed, Sponsor reserves the right to award only the stated number of prizes by a random drawing among all legitimate, un-awarded, eligible prize claims. For a list of winners send a hand-printed, self-addressed, stamped envelope to: “CLEVELAND GOLF RTX 4 GIVEAWAY, WIN LIST REQUEST” c/o Srixon / Cleveland Golf / XXIO 5601 Skylab Road Huntington Beach CA 92647. Winner List requests will be available after the Giveaway end date (listed above) and will be accepted no later than January 4th, 2020.